The Budget for the future generation? One thing was drilled home by Chancellor George Osborne during his speech and that was that he wanted to “act now so we don’t pay later”. He then went on to outline a selection of changes that were met with the usual cheers, condemning moans and disgruntled shouts of “Order!” from The Deputy Speaker of the House, John Bercow. Michael Lawlor of Mortgage Advice Bureau summarises a few of the changes that could affect you or your mortgage. The first major change in the Budget came when Osborne announced that he was cutting Capital Gains Tax (CGT) from 28% to 20% for top rate taxpayers and from 18% to 10% for basic rate taxpayers. CGT is a tax that is paid on the profit that you make when you sell your property or investment that isn’t your main home. For example, if you bought a house to let for £150,000 and sold it for £250,000, you will have made a gain of £100,000. You will then be charged CGT on this £100,000. Why has he decreased it? Many believe that cutting CGT will encourage people, specifically landlords, to sell and take advantage of the tax cut, which could lead to a slowdown in the recent rapid house price growth as properties become more readily available. With the new Stamp Duty (SDLT) rates for secondary homes coming on April 1, commercial property Stamp Duty has also been given a shake-up. Now working in a similar way to the tiered system that is used for residential properties, the new rates will see commercial properties worth up to £150,000 become SDLT-free. 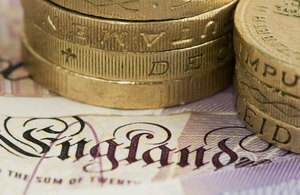 A charge of 2% will then be added onto the next £100,000 and a further 5% for anything over £250,000. Arguably the biggest talking point of this year’s Budget was Osborne’s introduction of the government’s new Lifetime Individual Savings Account (ISA). Based on the recent Help to Buy ISA model, the Lifetime ISA will be launched in April 2017 and will see savers under the age of 40 receive a 25% bonus from the government. In short, for every £4 you put in, they will put in £1. You will be able to put up to £4,000 per year into the ISA, with an annual bonus of up to £1,000 paid in by the government up until you reach the age of 50. Will I be able to use this to save for a deposit for a house? Yes, though you will have to save for a minimum of a year before you can use it to do so. If you decided to use the Lifetime ISA to save for a property, Osborne also announced that you will be able to spend up to £450,000, though this is only open to first-time buyers. But I’ve just taken out a Help to Buy ISA? Don’t panic! If you’ve already got a Help to Buy ISA, you will be able to move your money into the Lifetime ISA when it arrives in April 2017. The Help to Buy ISA doesn’t offer as much as a bonus as the Lifetime ISA so it may be worth considering, though you should remember that there is a year to wait before you can make the switch over, and you will then have to wait another year before you can use the Lifetime ISA to buy a property. When Osborne came into office as the Chancellor of the Exchequer in 2010, the government “borrowed £1 in every £4 spent”. Today, he announced that, by next year, it will be £1 in every £14. This Budget was very to-the-point but Chancellor Osborne’s sagacious attitude when addressing the House left an air of muted ambition.